At the onset of this month we got information from HSBC that Jio is planning to launch a cheap feature phone in the Indian market to capture the remaining user base who cannot afford smartphones. Today we have managed to catch a glimpse of the aforementioned feature phone thanks to an anonymous tipster who got in touch with a technology blog called Technology Personalized. 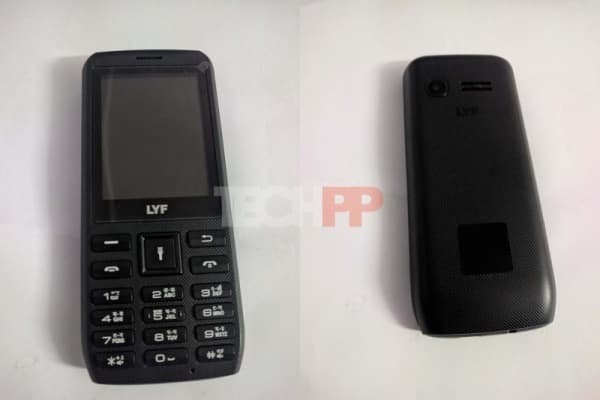 The said website has put up photos of the alleged feature phone that will come with LYF branding. As you might know LYF is the Reliance subsidiary which has been launching cheap 4G VoLTE enabled smartphones to work with Jio. As you can see from the image above the LYF Branded 4G VoLTE Feature Phone looks like any other cheap feature phones available in the market. We find that the centre button can also be used to switch on torchlight on the phone similar to the ones you might find on a Micromax feature phone. Since this phone is aimed at the masses we find a English-Hindi keypad on the phone just below the 2.4inch TFT colour display. We are forced to acknowledge the credibility of this being a Jio device as soon as the phone is switched on and we see the Jio logo flanked by the Digital Life moniker. While the news source makes a guess that the feature phone might be powered by a Spreadtrum processor it is sure that the phone has 512MB of RAM and 4GB of internal storage. The purported feature phone has dual-SIM (mini and nano) slots and a microSD card slot to gobble of cards of up to 128GB. The LYF feature phone only supports LTE bands which mean you won’t be able to use your existing 2G or 3G SIM with the phone. When it comes to operating system of the phone the source website points out that it runs Kai OS which is a forked version of HTML5 based Firefox OS. 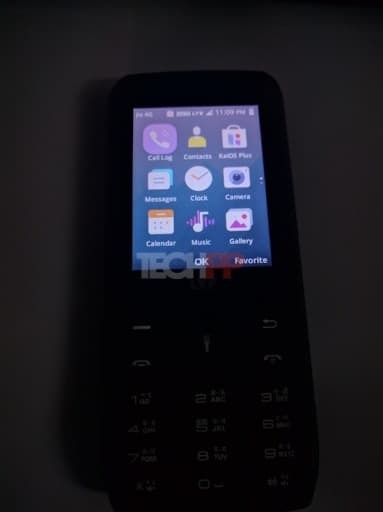 You will be happy to know that this feature phone has the ability to run Jio apps like JioTV and JioCinema. 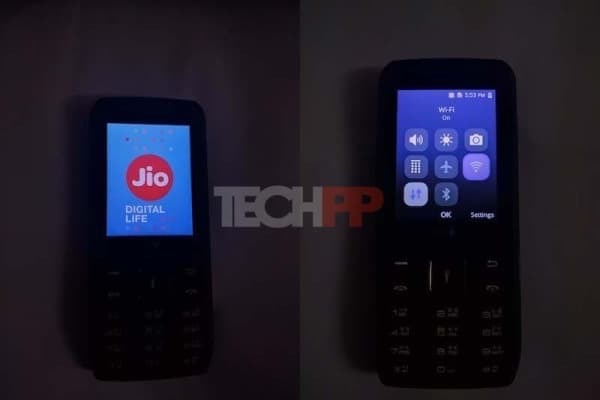 We are sceptical of these claims as both the Jio apps have been developed for touch interfaces and we aren’t sure if they have optimised the apps for tis feature phone. You will also find KaiOS Plus which is an app store from which you can download third-party apps. You will be surprised to find that the Jio 4G Feature Phone has Wi-Fi, Bluetooth and GPS capabilities. Sadly you cannot use HotSpot tethering on the phone. You will find a 2MP camera on the rear and a VGA sensor on the front. The feature phone is powered by a 2000mAh battery. It supports 22 regional languages and you will be able to make video calls on the device too. The feature phone has a voice assistant that recognises some Indian languages and you can summon it to ask about weather and solve simple maths problems. The only hitch is that the feature phone is said to retail for Rs. 1,499 instead of Rs.500 which seems understandable considering the features of the phone.